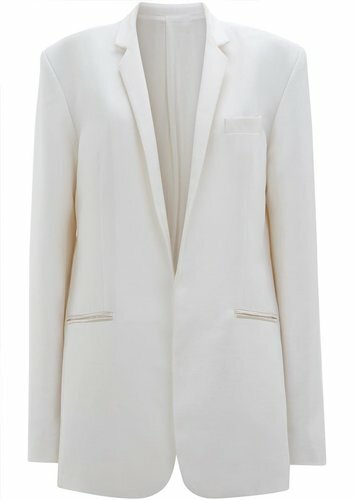 Phantom clasp long blazer. Tuxedo style and made of fine 100% silk construction. Made in France.